This is my fledgling indie game studio whose focus is making technically difficult games more accessible to indie devs. Here's where I spend my time these days. My upcoming 2D game engine makes building block-based worlds easier, with networked multiplayer and deep support for game modding, all in the widely-loved Java programming language. 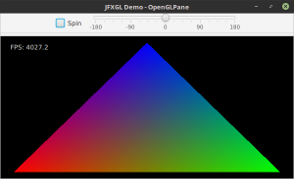 Use the JavaFX UI system in your OpenGL apps. I'm working on a game too, but that's all I'll say about that for now. Get news and updates about my work by following my Twitter account. In a previous life, I contributed a lot to the Minecraft modding scene. Some of my projects are preserved here for posterity. Build a sailable ship out of blocks. Save time. Use better tools. A tool for deobfuscation of Java bytecode. A mod loader for advanced modders. Cuchaz Interactive by Jeff Martin is licensed under a Creative Commons Attribution 4.0 International License.